1. Turn an awkward hallway spot into a library. Is there a short hallway or awkward nook in your home looking for a purpose? 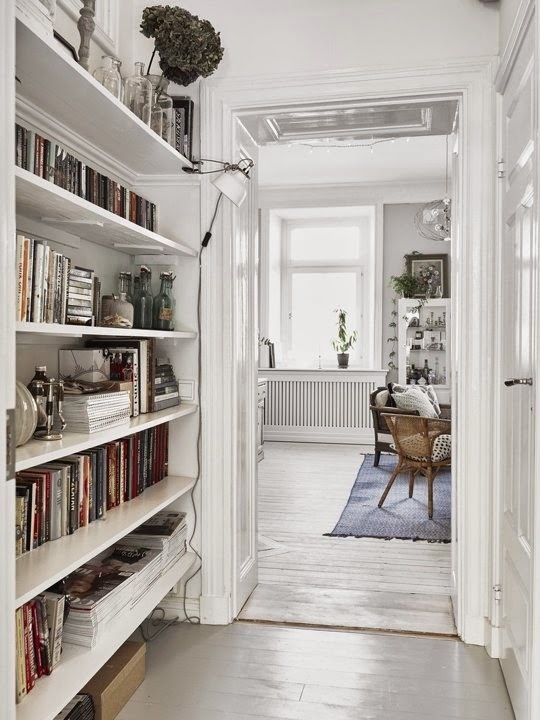 As long as you have a few extra inches, you can mount some shelves on the wall and make that awkward spot into a home library. Even 8" deep shelves are big enough for most books. 2. Using multiple complementary shades of the same color creates interest and depth. 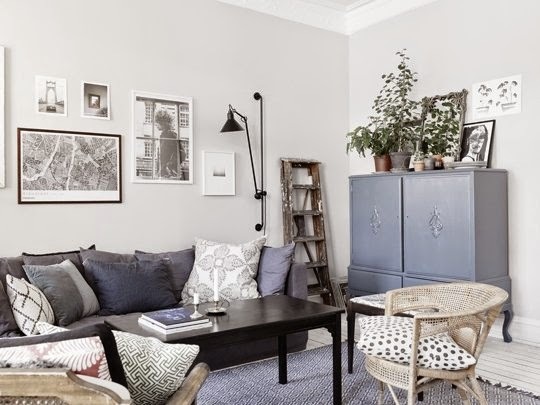 I love what Joanna's done with the living room, with multiple shades of blue playing off of one another. The effect is textured, interesting, and just a little more sophisticated than the same color repeated over and over. Plants make any space more interesting, and they clean the air, too. 4. Leave a little breathing room. 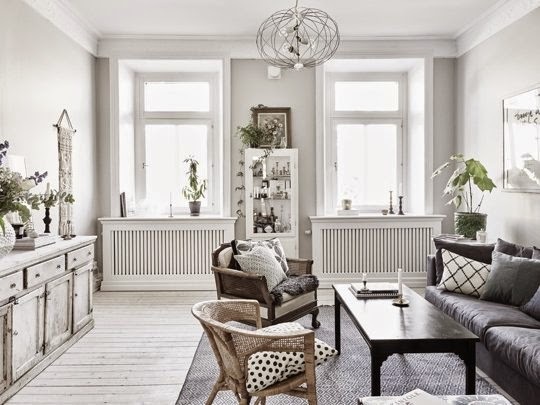 The living room feels bright and relaxing, because every nook isn't jam-packed with furniture. Leaving a little extra room allows the pieces you do have to shine. 5. 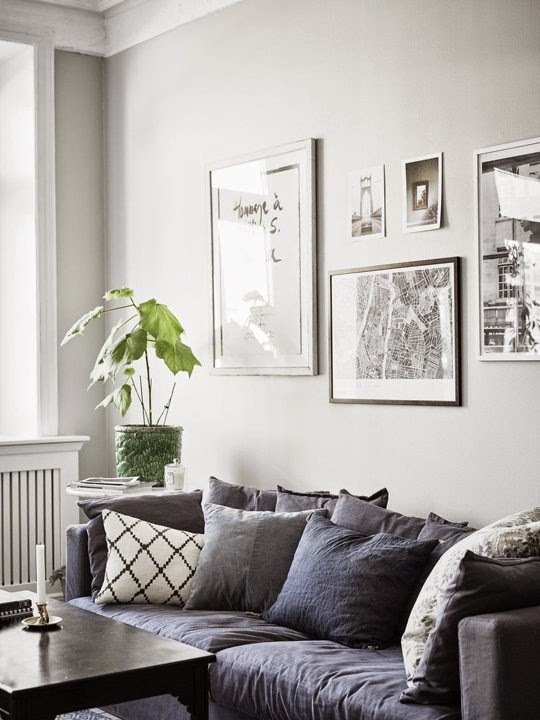 If you want to add color but are worried about it being too overwhelming, try a subtle, unsaturated shade. 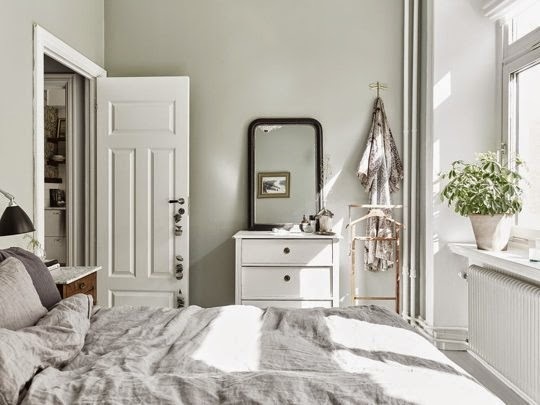 The sage green in this bedroom adds just enough color without being over the top. 6. Adding a little texture elevates any room. 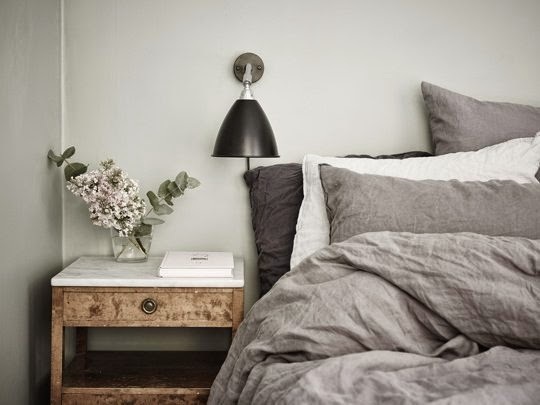 One of my current obsessions is linen bedding, which, I promise, will make your bedroom look at least 75% more sophisticated. 7. 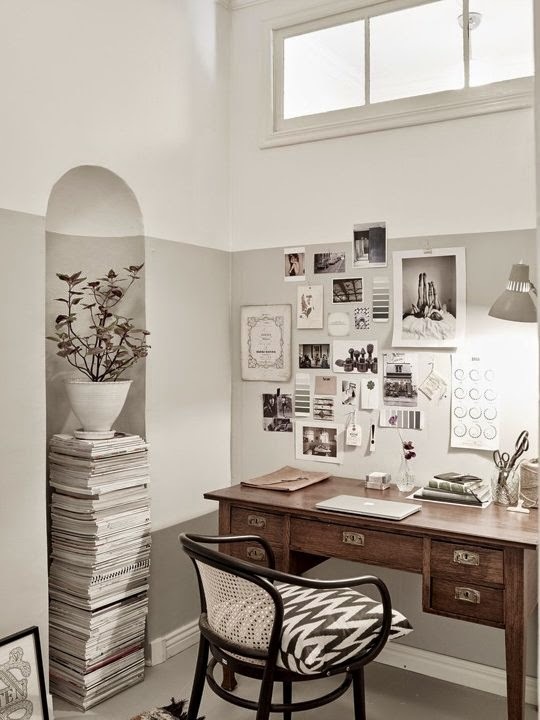 Painting just half a room can create an interesting, architectural effect. And it's easier than painting the whole thing! 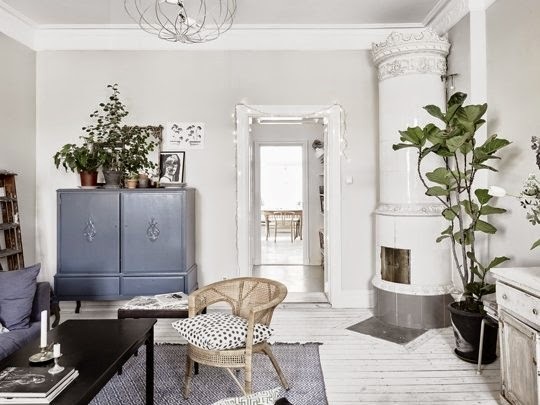 Pick out a feature in the room (like the top or bottom of a window, or, in this case, the top of a niche) and align the top of the painted area with that.